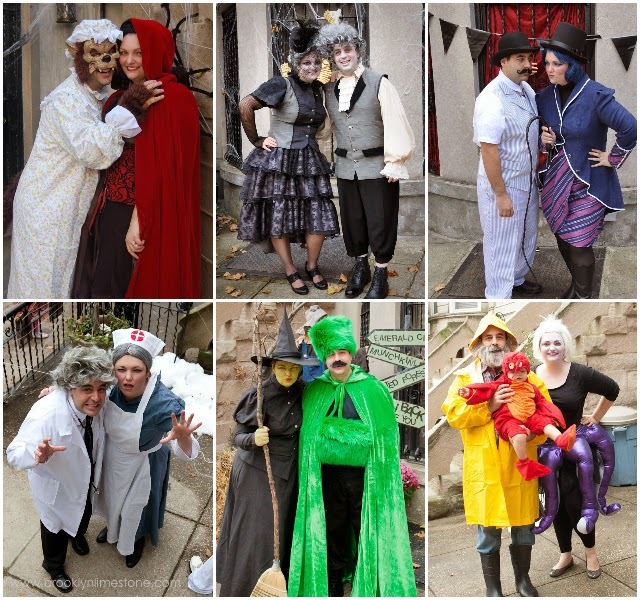 All of the Halloween costumes we have sported since we've moved into Brooklyn Limestone in honor of throwback Thursday Halloween edition. I love how you go all out for Halloween, creating wonderful memories for your friends and now for your daughter. I'm sure everyone in your neighborhood and all your friends look forward to seeing what you will do each year. I'm often left wanting to see more pics of the decorations and details. Thank you for your enthusiasm for life and your willingness to share! I loved this walk down memory lane! Your costumes are always so brilliant. I've enjoyed seeing Agatha get in on the fun too. Can't wait to see this year's outfits! So epic. Cannot wait to see this year's!